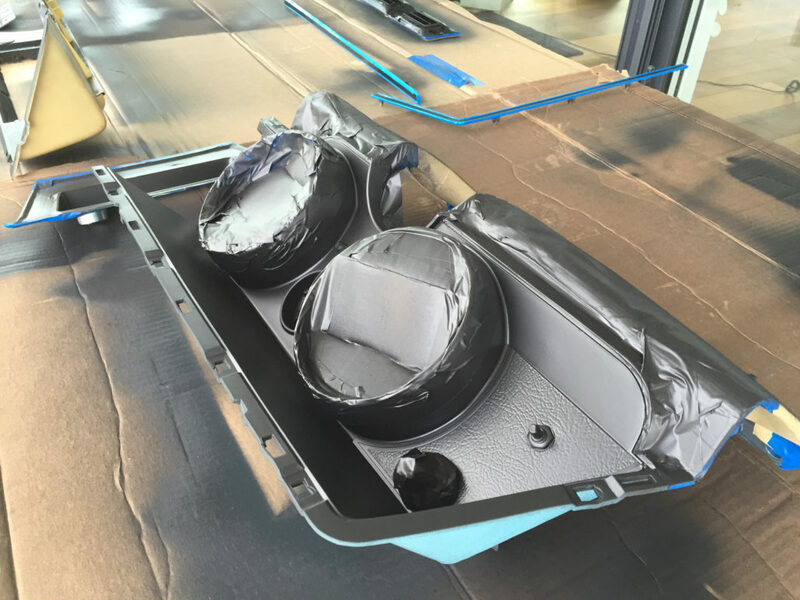 In recent articles, I described how I restored my center console. 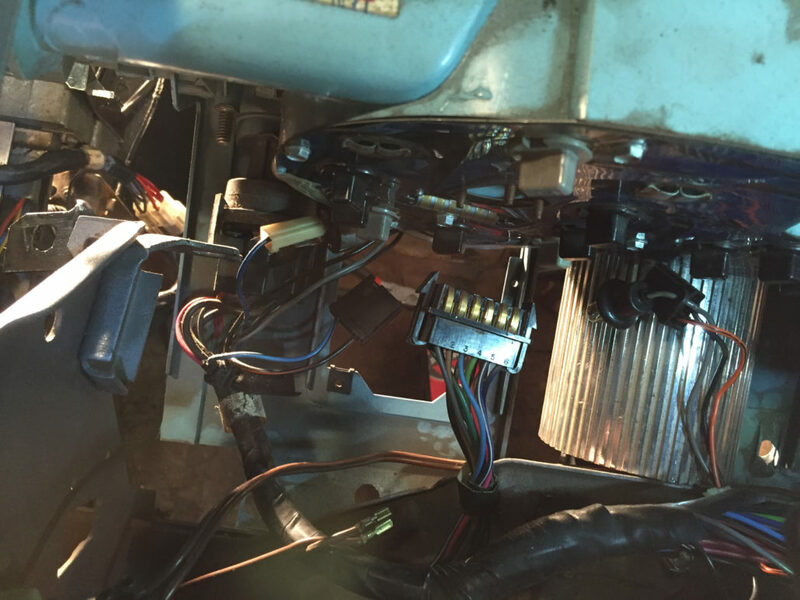 In the following article you will see how I restored the dashboard of my ’65 Rivierea. Initially, I had some difficulty to remove the dashboard. I had to remove the dashpad to see exactly from the top, where everywhere the console with cables was connected. There are screws just below the leading edge of the pad that are easy to remove. Once all screws are removed, slide it forward to release the anchors just below the windshield. Do not try and lift it up until the anchors are clear of the brackets. After removing the pad you can see the connections from the top. All the connections I could easily unplug (fig 1). It was also not difficult to loosen all the screws of the dashboard, but as all the cables and screws were loosened, I still wasn’t able bring out the dashboard, it just stuck! 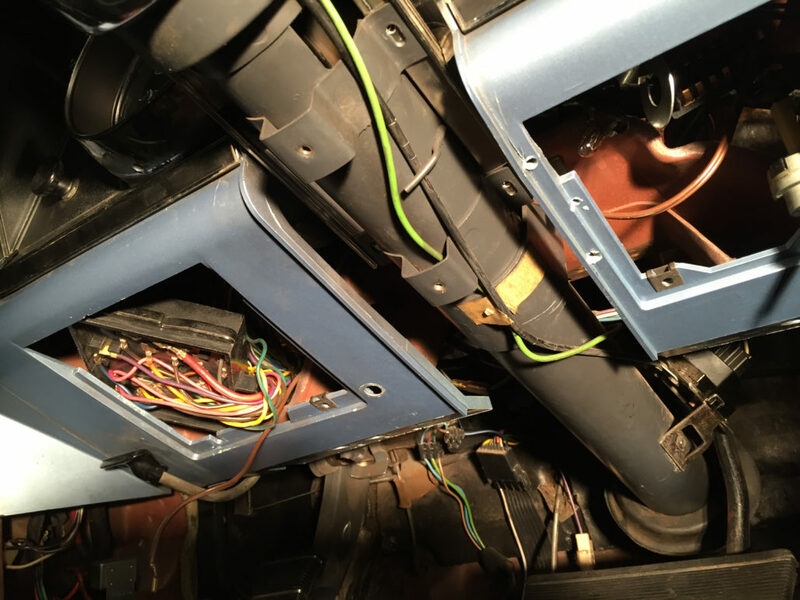 After a few unsuccessful attempts I posted this issue in the ROA Forum, where I received the valuable advice to loosening the steering column bolts and lower it a bit (fig 2). After I did that, I easily managed to pull out the whole dashboard. I highly recommend before taking off the various connections to the dashboard and then removing the Dashboard itself, to take good pictures of all the connections with your mobile device. This, to be able to reconnect all vires and reinstall the board as simple as possible. Once removed, the instrument panel can be disassembled into its individual parts. 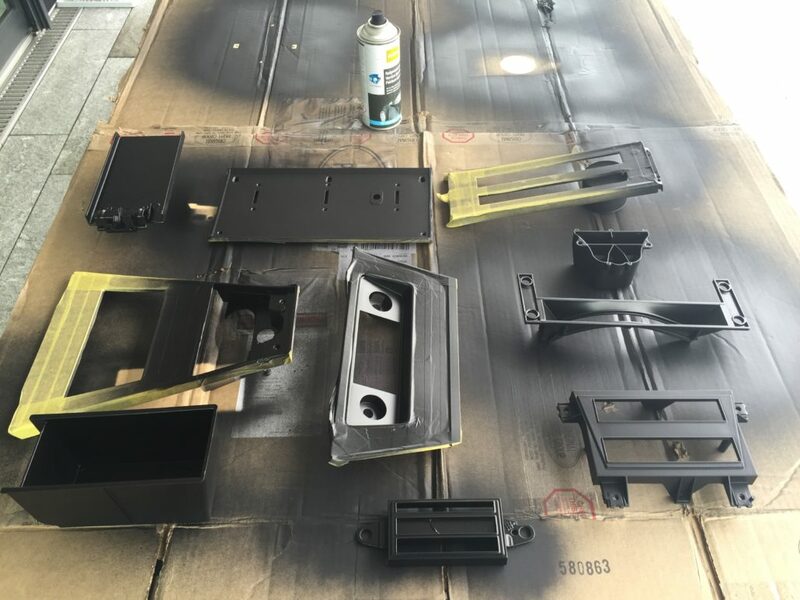 At that point, I decided to repaint all parts that were originally black. That means not only the dashboard and the inner side of its frame but also all black parts from the center console included the AC and the radio, also the whole front on the passenger side and the switch cover plate for courtesy light and power antenna (Fig. 3-5). The lenses of the two main displays where very scratched and I wanted to have them absolutely clear again (fig 7). With a small grub nut below the main displays, you can remove the two main lense frames. To take off the lenses, remove the inner frame by loosening the three screws from each inner frame (fig 8). Because the lenses are made of plastic, they can be polished to a high gloss with an adequate polishing paste and some elbow grease. After that treatment, they look as if they were brand new from factory! I also decided to renew the glases of the turn signals. For this I painted the plastic insert in silver-gray and renewed the inserts with new colored films (Fig. 9). I also replaced all the light bulbs on the dashboard with LED bulbs and put a lot of emphasis on bulbs that have a warm emission and not the coldness of conventional LEDs. To achieve a good color intesivity for some panels, it definitelly makes sense to put colored LED behind them. For OIL, TEMP, AMP, both turn signals and the high beam light, I suggest to insert colored LED accordingly… That means red LED for the red lights, green for the turnsignals, blue for TEMP, etc. (Fig. 10). Now your dashboard should almost look like new again! Well, this is what I thought as I was done with my work… Now your dashboard is done, you should think about it to build it in again, reconnect all the vires and connectors, and do your tests until everything work satisfactorily.